He also named the fourth seamer in the squad. India’s squad for the 2019 World Cup in England and Wales is scheduled to be announced today and the fans are waiting in anticipation for the names that come to the fore. 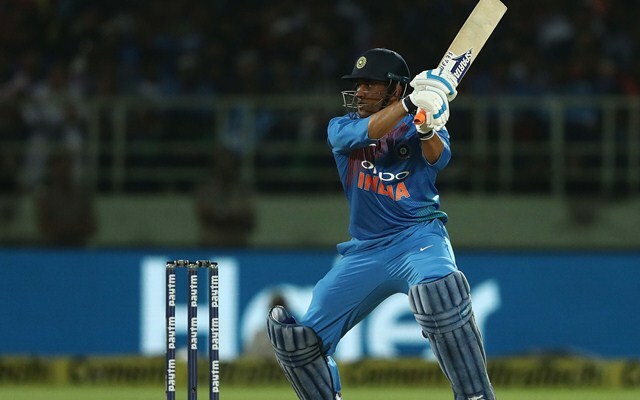 Over the last few months, a debate has been going on regarding who should be MS Dhoni’s backup keeper for the mega event, starting Thursday, May 30. Rishabh Pant and Dinesh Karthik have been the contenders. Even as Karthik is the more experienced amongst the two, he didn’t play India’s previous ODI series against Australia and that raised speculations that he may miss the bus. On the other hand, the 21-year-old Pant couldn’t grab the opportunities and he even had to face some flak from the crowd at the venues. In the meantime, Harbhajan Singh has a separate opinion about the matter. He feels that the 37-year-old veteran from Jharkhand doesn’t need any backup for the tournament. The same is for the reason that he knows how to carry himself even after developing a minor injury. Rather, Bhajji mentioned that KL Rahul is one of them who can keep if Dhoni suffers something major. “It’s not that Dhoni does not have niggles. Playing cricket with him I know he has some back issues but with his experience, he knows how to play with all that. I don’t think you need any backup for Dhoni unless he suffers from any major injury during the World Cup. In case of any minor niggle, you do have KL Rahul in the squad who can keep,” Harbhajan was quoted as saying in India Today. Moreover, Harbhajan also called for Navdeep Saini’s inclusion in the squad as the fourth seamer as he has been performing across various formats. “Not just because he has bowled well in IPL which in itself is credible in Bangalore’s batting friendly wickets but also because he has won Ranji matches in the past, so he comes with domestic experience,” the Punjab born spinner added. Saini is currently plying his trade for the Royal Challengers Bangalore (RCB) in the 12th edition of the Indian Premier League (IPL). The speedster hasn’t picked up a whole lot of wickets but has impressed one and all with his accuracy and raw pace.